Kolo Gasser z lehké slitiny v černém lesku + Stuttgart znak (styl Porsche 914) 1ks. 5.5 x 15" - ET +45 - PCD 5 x 130 mm. Gasser wheel gloss black + Stuttgart emblem each. 5.5 x 15 inch - ET +45 - PCD 5 x 130 mm - backspacing 5 inch. Porsche style rims, Ferdinand Porsche was at the cradle of Volkswagen. In World War II Porsche designed a number of tanks that not all were successful, including the vast Maus . In addition, he also designed military vehicles that have been a success, as the Kübelwagen and Schimmwagen. When the command Porsche once a car for the people designing the Beetle was born. After the war years, Porsche has designed his own sports car where the similarities with Volkswagen were vast, not only in appearance but also the technique used little week off. 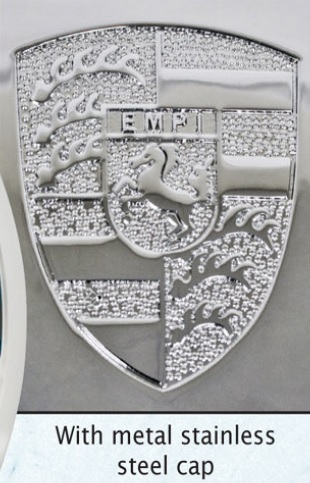 Porsche and Volkswagen have always been close to each other, that is the reason that many Volkswagens were converted to maximize on Porsche look. Today, the appearance of our cars kept original but many want something is in process of Porsche. 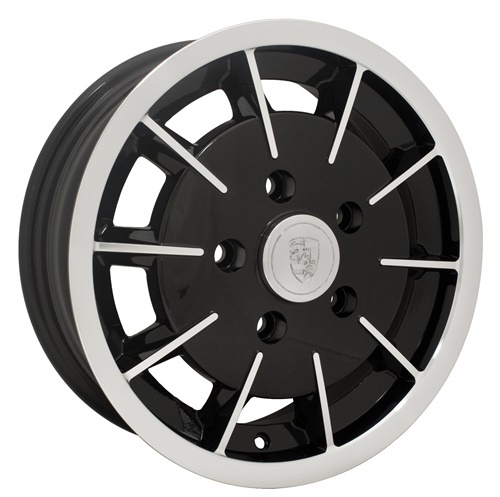 Porsche 914 style wheels (5.5 incheswide).